In order to improve the quality of cable products, the idea of a multi-level system of structural and parametric identification of objects of the electrical complex of the technological line for the production of domestic cable with polymeric insulation on ultrahigh voltage is aimed at the main task. Systems guarantee correct, optimal for the main indicator of the quality of the solution of the problem under real conditions of structural, parametric and signal uncertainty and space-time limited data. 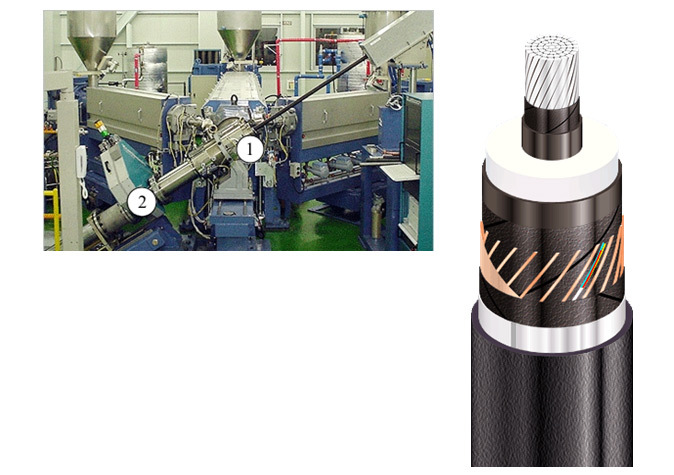 The development of the theory of identification and its application in practice in the production of cable for ultrahigh voltage has allowed to improve the quality of the solution of problems of optimal adaptive control, diagnostics and control of parameters, prediction of the behavior of complex electrical engineering complexes. The method of structural identification of complex nonlinear multidimensional dependencies of electrotechnical objects, the method of nonparametric identification of complex nonlinear static dependences on the arbitrary dynamics of the motion of an electrotechnical object and the method of obtaining unmatched estimates of the parameters of a mathematical model in conditions of noisiness of input and output signals of the object of identification, which allow create a hierarchical identification system on the cable production line focused on the main task. The systems of adaptive optimal control, diagnostics and prognosis in the electrotechnical complex of the technological line for the production of domestic cable for ultrahigh voltage 330 kV are proposed in the conditions of uncertainty and limited data about the object, which ensures an increase in the accuracy of application of insulation layers by 5% and their eccentricity reduction by 3 % Calculation methods and corresponding software tools of the purposeful hierarchically-built identification system in problems of adaptive optimum control, diagnostics and forecasting in the electrical engineering systems of the technological line for cable production at the «PivdenKabel» plant in Kharkiv are developed.